Congratulations to Nalin Leelatian and co-authors on this publication! ► This peer-reviewed protocol for isolation and mass cytometry analysis of single cells from human tissues and tumors was developed with Rebecca Ihrie’s lab and is based on Leelatian and Doxie et al., Cytometry B 2017 published October 2016 entitled Single cell analysis of human tissues and solid tumors with mass cytometry. Since publication, this protocol has been validated for most human and mouse tissues. 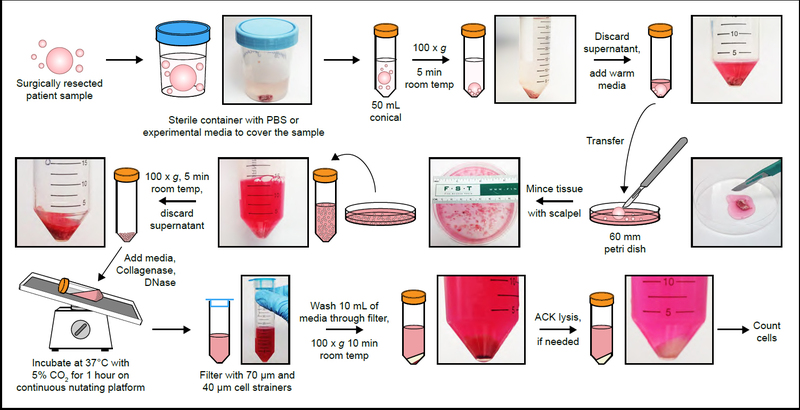 The protocol describes tumor and tissue disaggregation into single cells and is compatible with single cell approaches like mass cytometry, cell sorting, and single cell RNA-seq.